The NYIDE Applied Study Program is a truly unique approach to teaching Dance and a myriad of complementing genres coupled with business administration, and tangible approaches to immediately apply the information learned. Applied Study candidates learn a broad variety of skill sets without limitations. 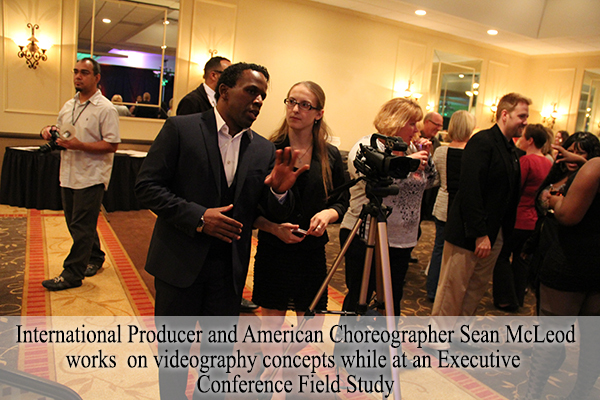 The Applied Study Program is designed to mirror the reality of dance and the performing industries where merit is based on the number of refined skills a person brings to a company or project.However, the Applied Study Program is even more. No matter your personal goal, the Applied Study Program simultaneously teaches business, conflict resolution, and interpersonal skills that will allow candidates to be equally comfortable and accepted in a corporate environment. This is achieved by allowing the greatest amount of realtime apprenticeship and exposure. 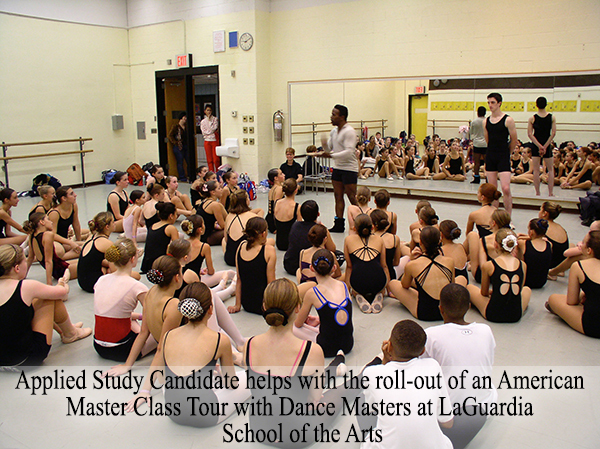 Candidates foundation is McLeod Technique and Dance, but additionally interact with a wide variety of performing arts classes. A life teaching system filled with real-time skills, principles, tools, and methodologies that help candidates be more than skill successful, but equally, life and experience happy too. Sean McLeod is an Executive Consultant who aids corporations and performing arts institutions in running highly efficient businesses around the country and globe. Through the Applied Study program, the candidate becomes a functional and well-rounded part of the NYIDE or Reaching for Higher Ground Consulting implementation and rollout team. The candidate will first learn a whole host of elementary skill sets and then grow to a level of Master in a relatively short amount of time. Candidates are taken through a process where they learn every position on a rollout team, eventually growing from limited responsibility, to intermediate duties, to finally full implementation leadership roles as the lead facilitator or manager of a project or event rollout. An extra phenomenal part of the Applied Study Program is the Field Study or in the Field Learning Opportunities. The Applied Study Program takes place in Study, Lecture, and in places around the Country and around the World. You will have numerous field experiences both near and far. These field training opportunities include initial meetings, planning sessions, personnel trainings, corporate lectures, staff trainings, concerts, international tours, humanitarian campaigns, recording sessions, television appearances, radio interviews, charity events, keynote engagements, entertaining dignitaries, and setting up an execution of travel arrangements and accommodations. Take your education to new heights! The Applied Study Program is an incredible post or pre-graduate certification program that amazingly complements any previous or future movement and business study. Contact us for more information at info@nyide.com or download an application and join us! Please click the box below to pay for your Applied Study Program. Please make sure you have received an acceptance correspondence from Sean McLeod or the main office at NYIDE before paying.